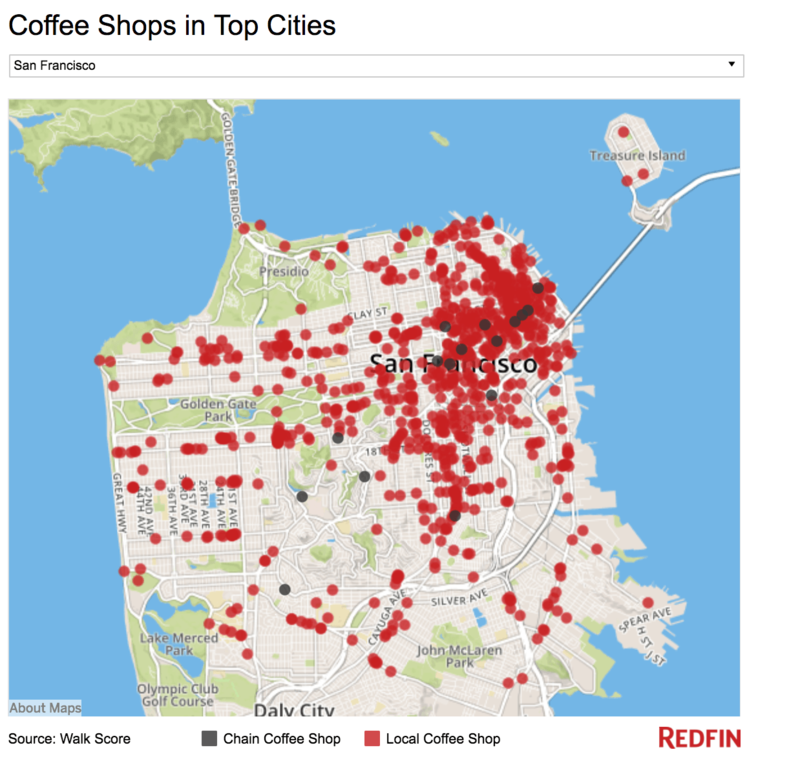 This piece is part of the Back-to-School series on the Tableau blog. Students around the world are returning to school with the hopes of learning new skills that will help them find success in their future careers. Learn more about the skill that tops that list—Tableau. Are you on a budget? 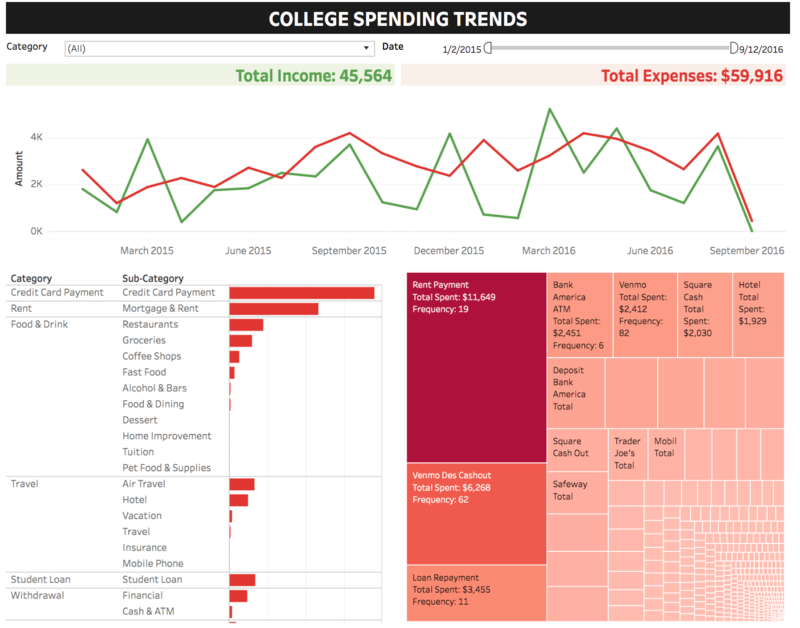 I can imagine most college students would answer “yes.” This dashboard uses data from mint.com to track your spending habits. 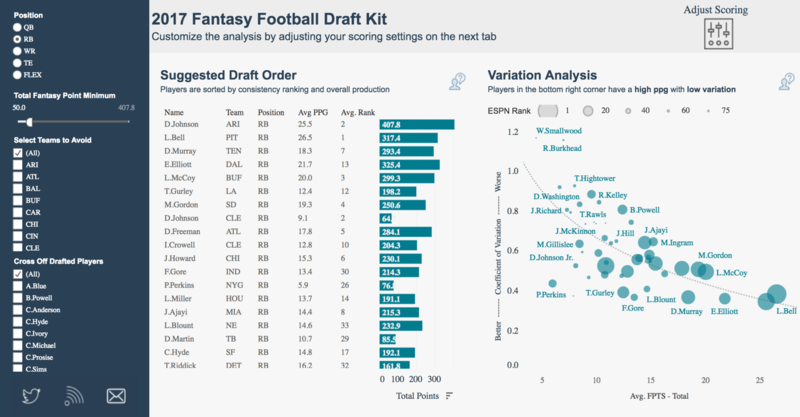 Do you spend hours trying to figure out what players to draft for a fantasy football team? Increase your odds of picking a winning line-up with this draft kit. Perhaps you’re more of a college football fan. 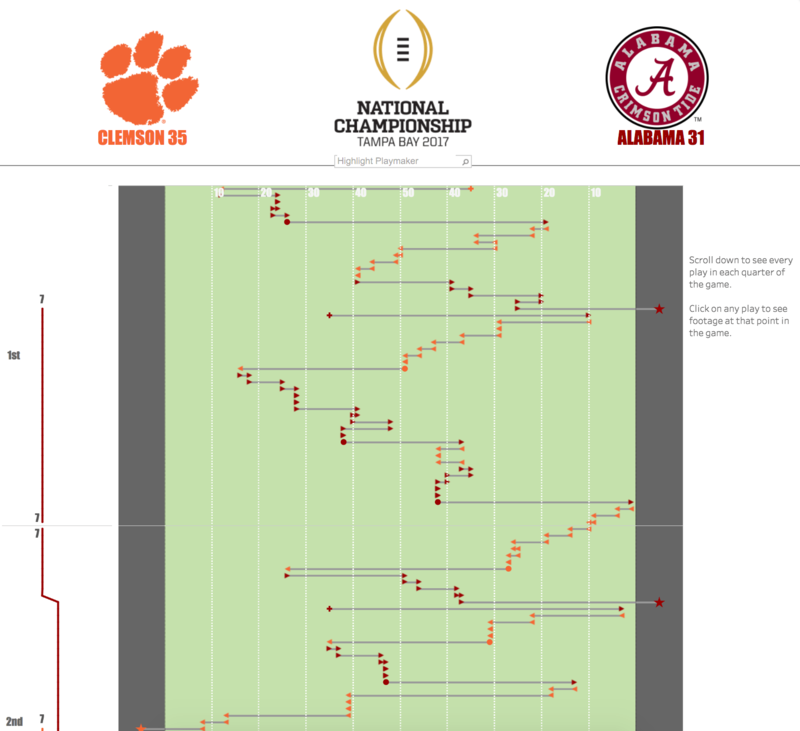 This viz looks at key stats from the 2017 National Championship game. Maybe it’s pre-finals and you’re searching for a coffee shop to fuel up on a good cup of joe. This viz has you covered. If you’re more of a beer connoisseur, check out the best beers in America featured in this viz. Looking to make the perfect drink to celebrate the end of the semester or quarter? 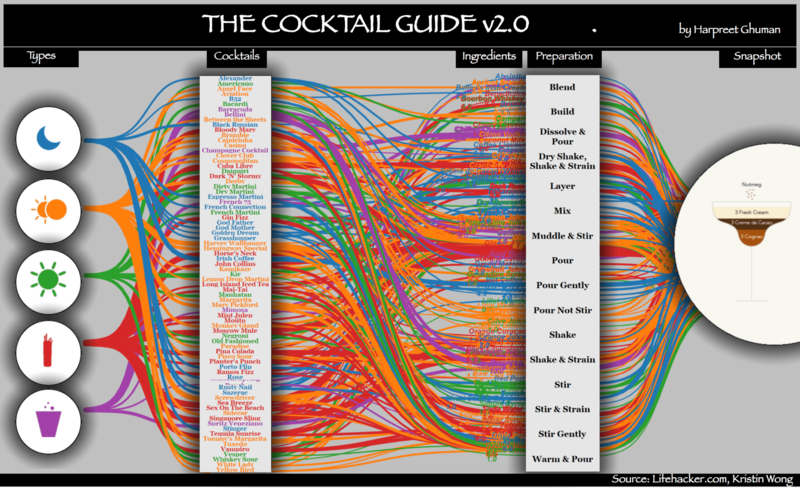 Take a look at this Cocktail Guide. Looking for a study break? 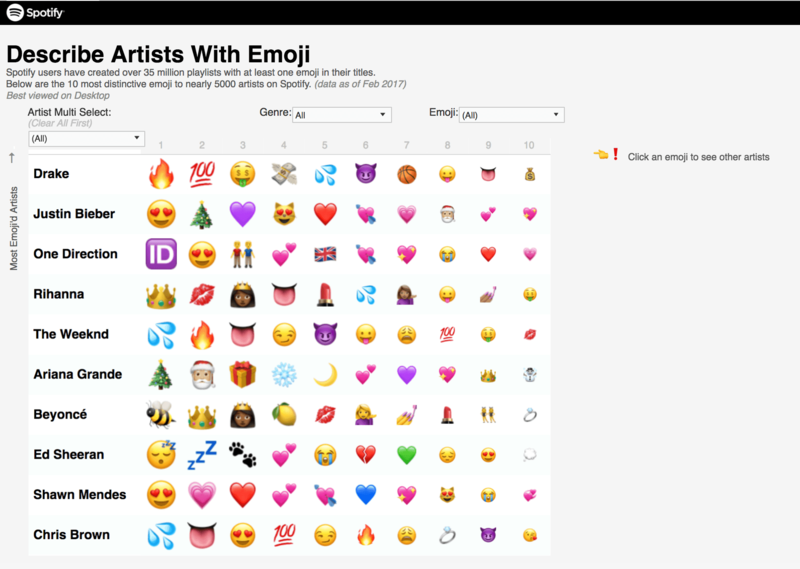 Check this out to learn which emojis are most commonly associated with certain artists. 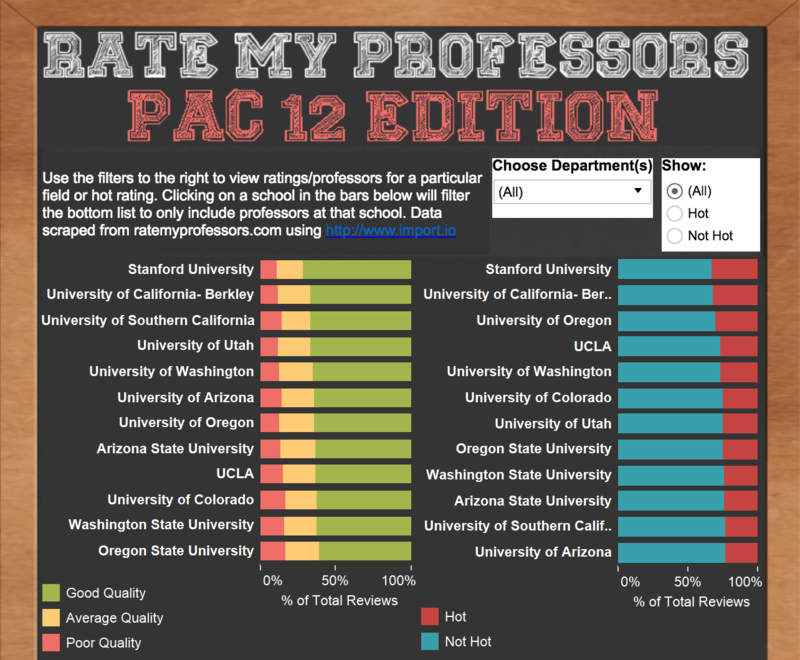 If you are picking courses for the upcoming term, be sure to make the right choices by consulting this viz. 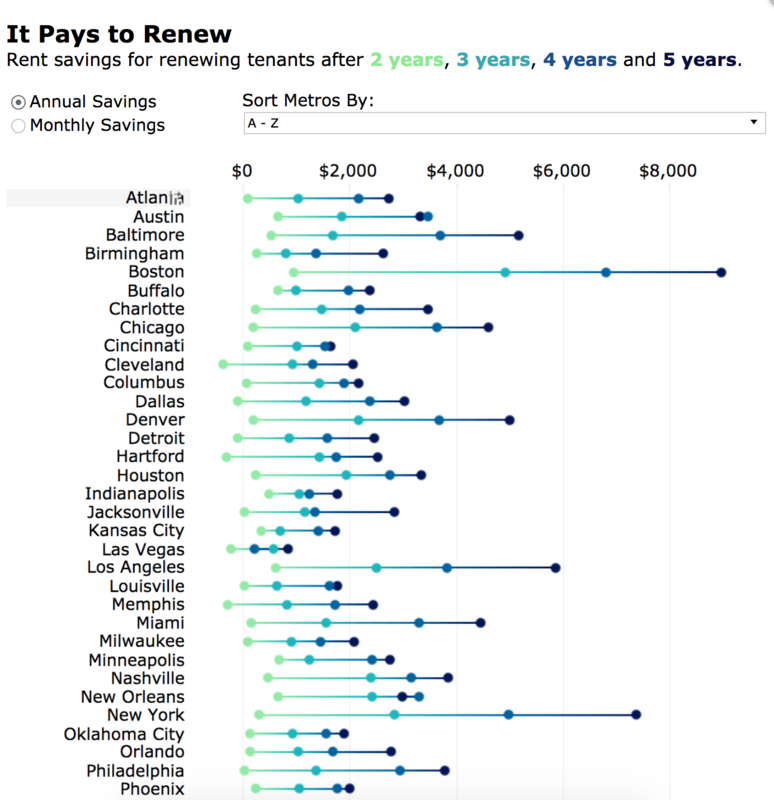 If you’re currently renting an apartment near campus, check out this viz to see if you should move or renew your lease. 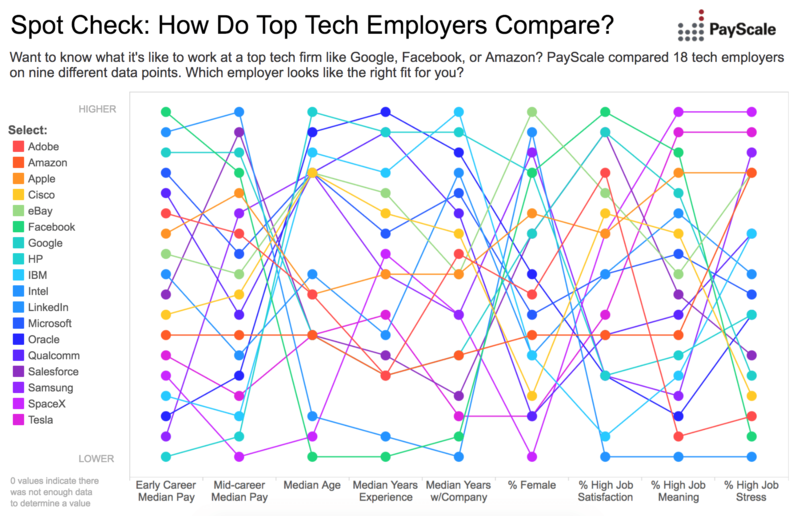 How do top tech employers compare? Are you thinking about an internship or full-time job? Check out this data to see what it’s like to work at a top tech company. 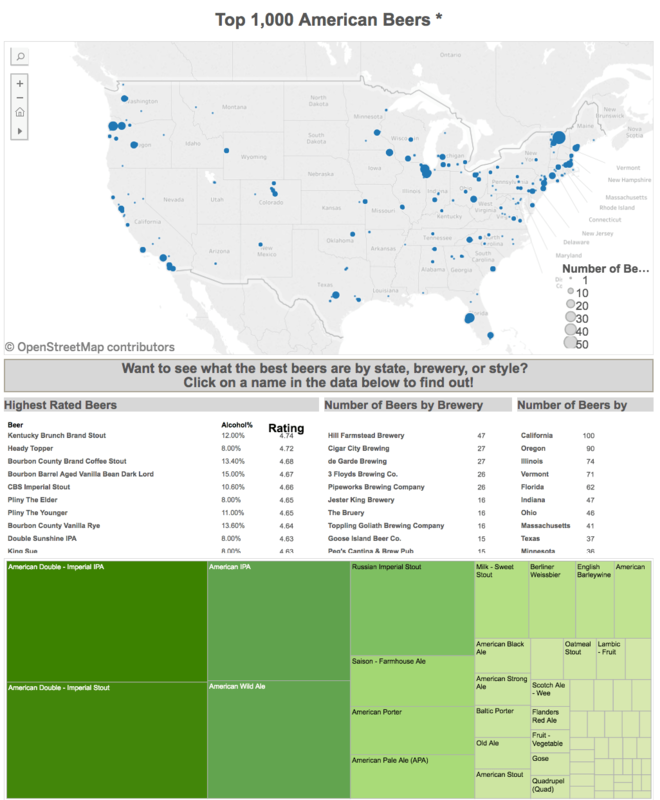 Don’t forget to publish your viz to Tableau Public and share it with the world! Need a student license? Request one today.